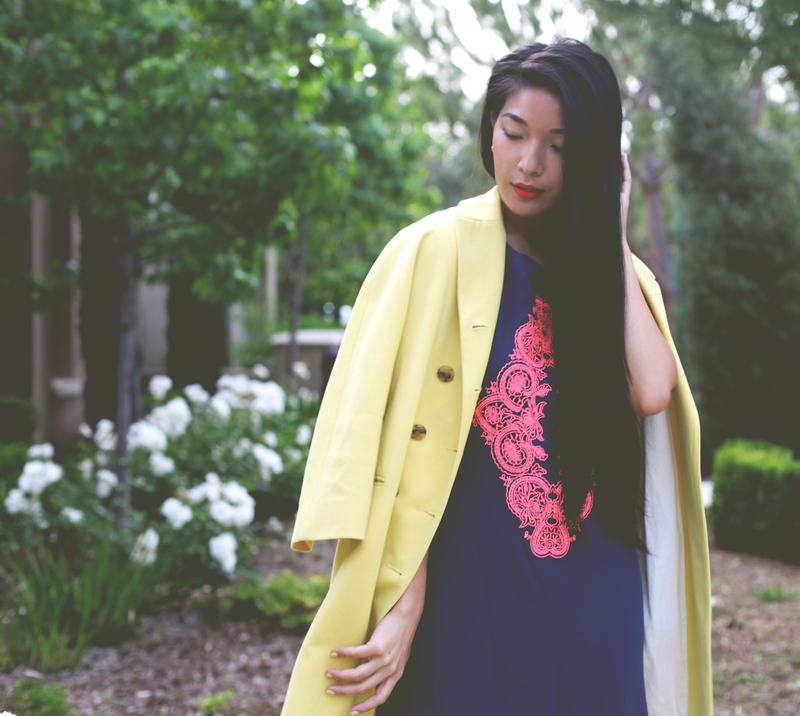 I'm totally rejoicing in the pleasant cool-down so I can get more wear out of this elegant, spring-time Jill Stuart coat; the marigold nearly matches anything and adds a spring-y dimension to all looks. I wore this non-stop during my trip to SF last month and during most cooler nights of early Spring, so I've probably been exasperatedly labeled as this girl wearing freakin yellow everyday. But I can't help it when I'm obsessed! I also have this shift dress from Sugarlips on constant rotation because of its ease, flattering shape, and vivid color. And what goes with color? Yup, more color. sunny yellow! love the color! You look Gorgeous, Your so pretty! Amazing! Those Cole Haan shoes definitely slim down your athletic calves! I wouldn't call them athletic lol ;) but thank you!! Such a pretty dress. I love that you paired it with that coat. totally the grown up version of primary colors! Gorgeous look pretty lady! Love the combination of colours in this look. That dress is lovely!